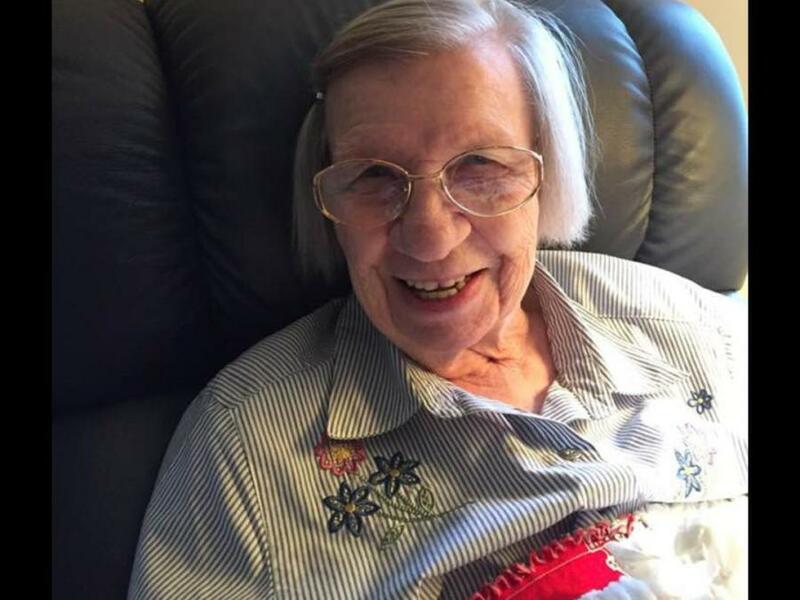 Anna “Ann” Louisa Chamberlain, 97, of Anchorage, Kentucky, died March 29, 2019. She was born in Prospect, Kentucky September 21, 1921 to Elmo and Lula Happel. She was married to Stanley Chamberlain in 1944. They enjoyed many years together with their children Larry and Joyce and later their four grandchildren. After Stanley died in 1986, Ann maintained their 4 acre property to the standards of the world’s best greenskeepers. Known as “Grandma Cookie” by her great-grandchildren, Ann relished watching children and spoiling them with cookies and candies. Prior to a stroke in 2013, Ann made dozens of homemade cookies, candies and caramels every Christmas. Those that had the joy of knowing her would tell you she loved a good laugh, had high expectations she was never hesitant to share and enjoyed experiencing nature with others. She is survived by her two children Larry Chamberlain (Sandra) and Joyce Brinly (John); Grandchildren; Scott Brinly, Brian Chamberlain, Kerry (Chamberlain) Willis, Krista Brinly Hensel. Great Grandchildren; Jacob Brinly, Gracelynn and Abilene Willis, Isaiah and Noah Chamberlain, Blake Hensel and Leslie Ann Hensel. Funeral service will be 2pm, Saturday, Stoess Funeral Home, Crestwood with burial to follow in Worthington Cemetery. Visitation will be 11am until time of service.